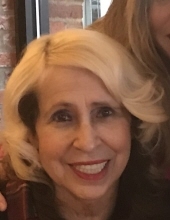 Gaspar, Cheryl Leone - Age 74, of Swartz Creek, died March 29, 2019. Private family services will be held. Arrangements are being handled by Sharp Funeral Home and Cremation Center, 6063 Fenton Rd., Flint. Cheryl was born on March 6, 1945 in Flint the daughter of Julius and Leona (Genske) Gaspar. She received her Master's Degree and operated her own counseling service - Your Beautiful Mind. She loved to garden, loved art, and loved her dog Lola. Surviving are two children, Cortney Butler of Melbourne, Florida and Sean Butler of Swartz Creek; brother, Robert Gaspar; sister, Lisa Olson; and close friend, David Odom. She was preceded in death by her parents and sister, Mary Louise Berry. Tributes may be shared at www.sharpfuneralhomes.com. To send flowers or a remembrance gift to the family of Cheryl Leone Gaspar, please visit our Tribute Store. "Email Address" would like to share the life celebration of Cheryl Leone Gaspar. Click on the "link" to go to share a favorite memory or leave a condolence message for the family.